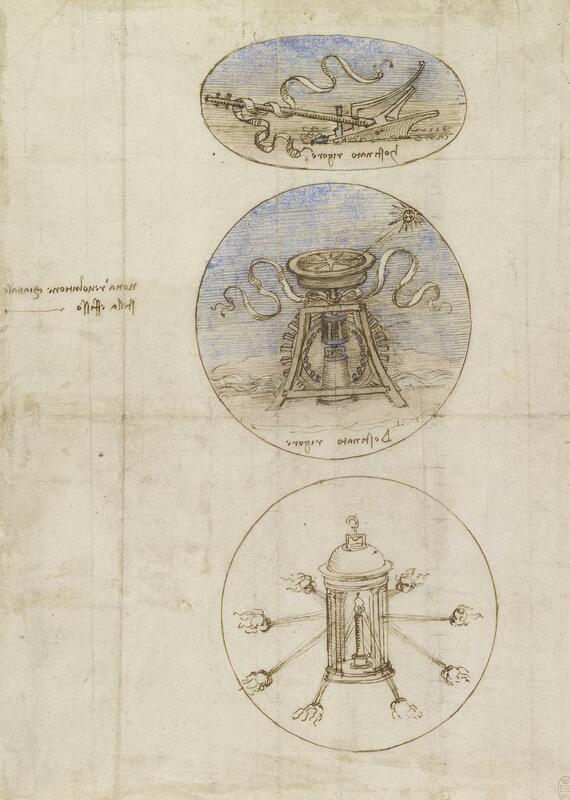 As a court artist to the French occupiers of Milan, Leonardo designed several personal emblems on the theme of constancy. The top emblem here depicts a plough with the words hostinato rigore (‘obstinate rigour’). The next shows a compass set upon a continuously turning waterwheel, its needle however remaining fixed upon a star. The final emblem shows a candle in a lantern remaining alight despite being blown from all directions.